A family-friendly hotel, the Club Atrium Hotel and Apartments, located within the Armutalan area of Marmaris has a lively ambience and offers great amenities. Earlier known Melay Hotel, before it was acquired in 2004 by Club Atrium Apartments, it has a British ethos. 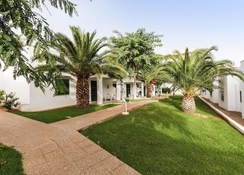 The property is barely a 10-minute walk from the beach, with two large swimming pools onsite and two separate pools just for kids. It also boasts of a spa and Turkish bath onsite. Guests can look forward to sampling Turkish cuisine, besides familiar British fare at the Havana restaurant, where you can take the meals indoors or outdoors in the garden. The Tai Pan restaurants serves Chinese and Indian cuisine. While evenings are for live entertainment, the Marmaris Amphitheatre is only 500 m away and there’s also a market within the hotel premises if you would like to indulge in some shopping. Kids get their own playground to indulge in some outdoor sports. You can also take the family to explore the sights in the city and try out the local restaurants, just about a kilometre away. 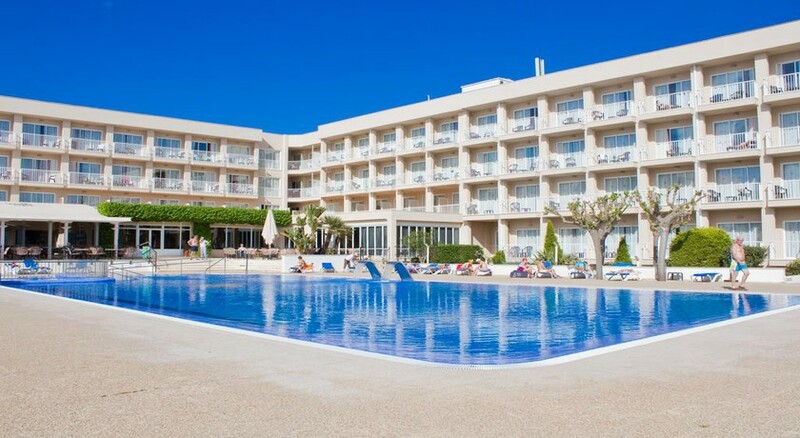 Club Hotel Sur Menorca is located 800 m from the Punta Prima beach and 200 m from Biniancolla Beach, on the south coast of the island. Mahon Airport is 15 km from the hotel. There’s also an 18-hole golf course 25 km away. 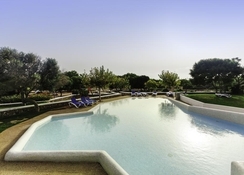 Club Hotel Sur Menorca offers 252 rooms, that include single and double rooms, two-bedroom units and suites, with private balconies that come with partial and full views of the sea. You can opt for Half Board accommodation as well as All Inclusive. 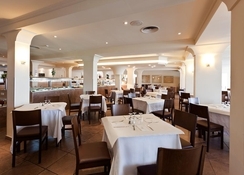 At Club Hotel Sur Menorca, you can have your meals in the main buffet restaurant, which serves international dishes along with British classics, or check out the a la carte restaurant, snack bar and lobby bar. The open air restaurant, La Pergola, also features a special menu for kids. There's plenty to keep you entertained, with a huge pool that takes centrestage and a waterpark, which is truly popular with kids for its fun slides, lazy river and whirlpool bath. Children also get their own playground and a mini disco, while adults can try their hands at rifle-shooting and some family volleyball. For golf enthusiasts, there’s an 18-hole course 25 km away. In the evenings, you can look forward to bingo nights, tribute acts and live entertainment. volleyball and rifle shooting.